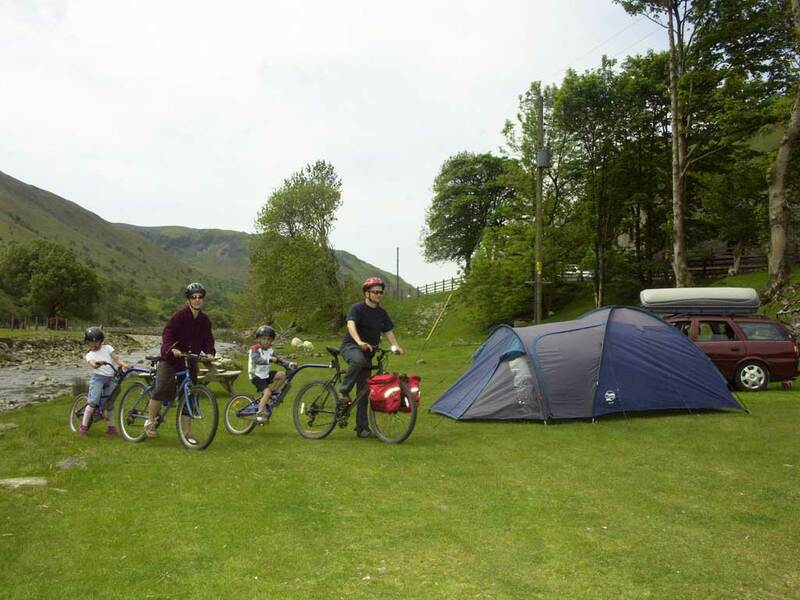 This small quiet camp site lies alongside the banks of the river Ystwyth and is an ideal centre for birdwatching, walking, mountain biking and fishing. 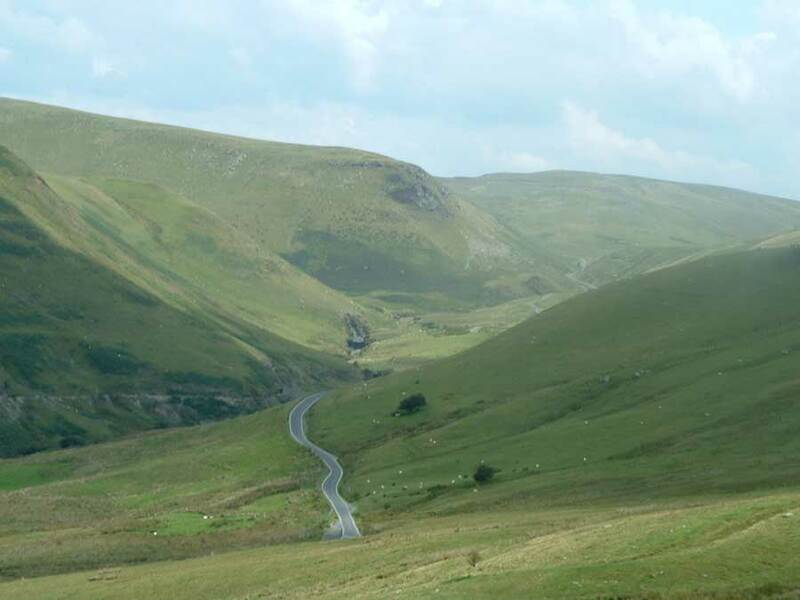 It is situated at Tyllwyd Farm, along the mountain road between Rhayader and Cwmystwyth and is surrounded by beautiful mountain scenery. Relax in the peace and quiet of this valley of historic landscape and outstanding natural beauty as described in the 2007 edition of the Cool Camping Wales guide. Bring your binoculars and telescope to study or gaze at the stars without the distraction of light pollution. 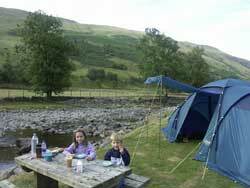 Wake up to the babbling of the stream and the sound of birds singing. For the more adventurous holidaymaker walkers have access to the high moorland, or the less ambitious may enjoy a tranquil walk along the old water leat. 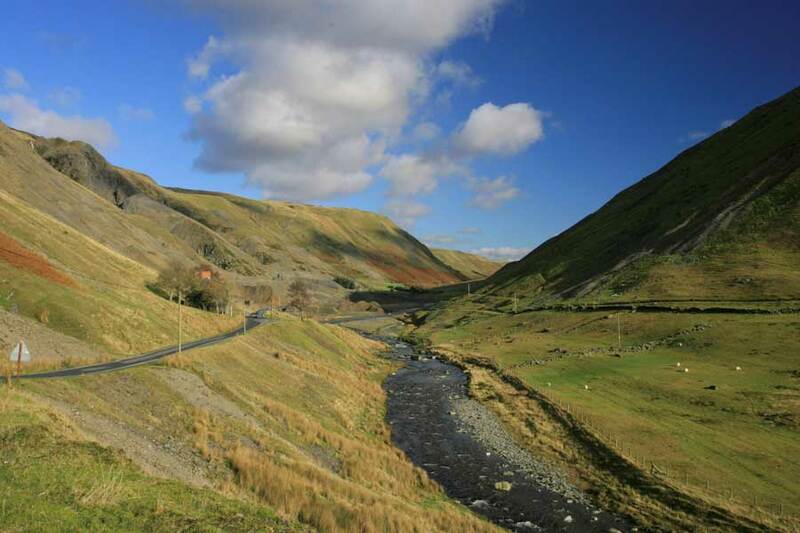 This leat was created in 1876 to carry water from the river Ystwyth to the Cwmystwyth lead mine to drive the crushing and jugging wheels at the mine. 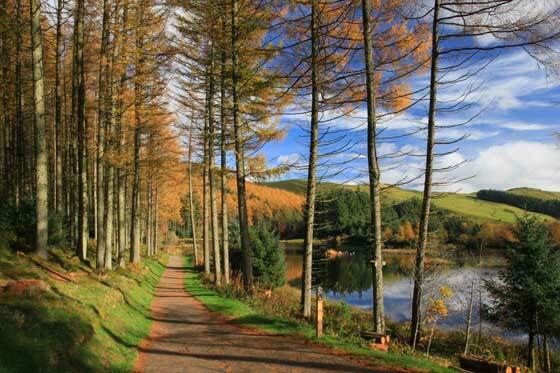 The walk takes you through a variety of habitats along the side of Yr Allt, and overlooking the river. 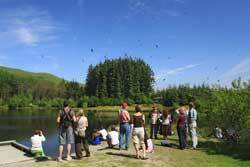 Yr Allt is home to a hefted flock of Welsh mountain sheep and some rare upland birds. 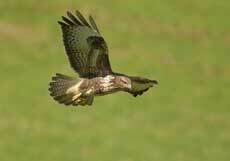 Ravens, buzzards, red kites, kestrels and peregrine falcons hunt along this hillside. But you may also encounter pied and grey wagtails, spotted and pied flycatchers, redstarts, warblers, finches and treecreepers in the woodland below, on the first part of the walk. Looking down on to the river, you might be lucky and spot a heron or goosander. There are also excellent trails for mountain biking in this area with the Lon Cambrian passing the campsite. Nant yr Arian forest area has a purpose-built mountain biking trail with showers and facilities to clean your bicycle after your ride. 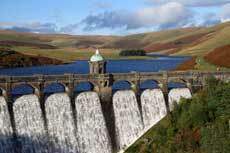 The Elan Valley Reservoirs, Nant-y-Moch dams and Llyn Gwyn are rewarding areas for fishing. Take advice from James, who in his younger days was a member of the Wales youth fishing team, and still enjoys his fishing when farm commitments allow! 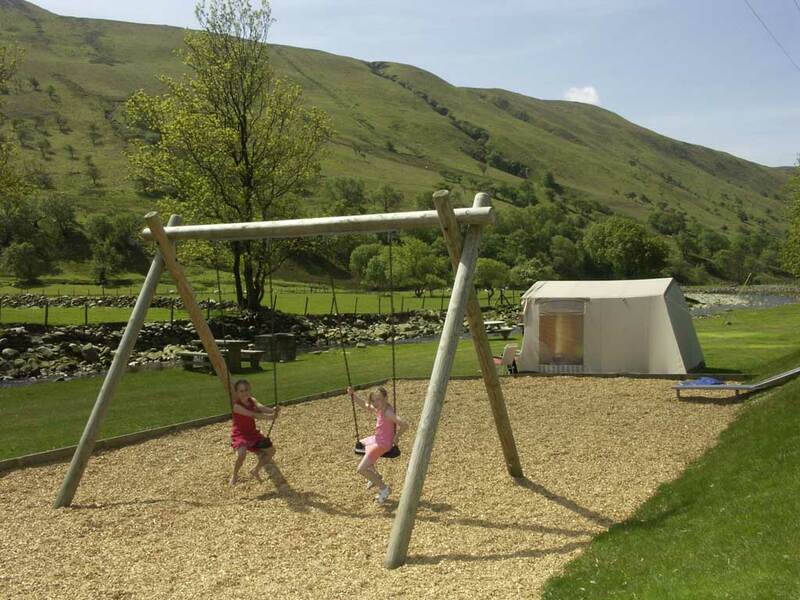 Our facilities are of a high standard and consist of ladies and gents toilets, hot and cold water, shower, washroom, electric hook-ups, barbecues and picnic tables. 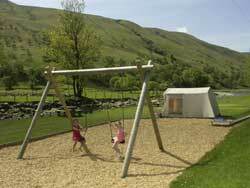 We have provided a small play area with swings and an embankment slide for children, but they must be supervised at all times. We welcome one dog per family, but it must be kept on a lead at all times. For directions to Tyllwyd Camp site, see the map page page.